I’ve made a simple Harry Potter linocut of a Firebolt broomstick as part of a project I’m working on for G-Man’s birthday. It’s intended to be the first of a few themed Harry Potter linocut prints, and though I have something very specific in mind for it, I couldn’t help but play around with a few other ideas too. Making a linocut print of Harry Potter’s Firebolt broomstick – kitchen table art! It’s been a while since I’ve done any linocutting (or sketching, for that matter! ), and this little attempt made me realise how out of practice I am. But I don’t think G-Man will mind the lack of finesse, bless him! Sketching out Harry Potter’s Firebolt broomstick. Next step, cutting the lino for printing. If you’ve never tried linocutting, it’s worth giving a go as it’s great fun and while it takes much more practice than I’ve had to be really good at it, you can still get some pretty nice results as a beginner. And it’s the perfect kitchen table art as well – you don’t need much space, and only a few basic tools. Inking up the linocut image. The finished linocut print of Harry Potter’s Firebolt broomstick. Or should it be F is for Firebolt? Broomstick quote – good for Halloween! Want to try lino printing? This list of resources should help you with what you need to get going. All links are affiliate links, which means that if you click through and buy anything, I will get a small amount towards the running of this site without adding anything to the price you pay. Thank you for your support! There aren’t as many instructional books out there as you might think, and so I’d say I’ve probably looked at most of them! 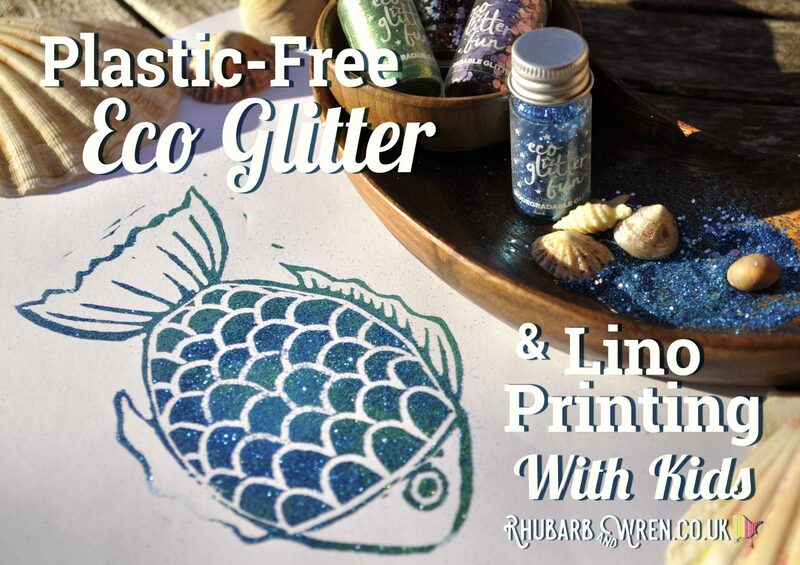 These are the two that I’d recommend starting with, as between them they’ll give you a great introduction to the tools and techniques involved in lino printing. There are many kits available that package up the bare necessities. This one has an impressive selection of equipment (better than any other kit I looked at) – everything you would need to get going plus a few extras like the hand guard, which is really useful when you’re learning! Everything is of a pretty decent quality as well. I wholeheartedly recommend this set, and I bet you’ll still be using much of the kit even if you later decide to upgrade a few of the components. I’m not a fan of the cutters with removable blades that you get with most kits. My preference would be a set with fixed blades, like these. The Pfiel gouges aren’t cheap, but you’ll probably find that you are only really using a few from your cheap set of gouges anyway. So when you know which ones you tend to favour, buying just those in Pfiel form is much more affordable than splurging on a complete set that you may never use. And then there’s your lino that you’ll be using those gouges to carve… There are many options out there, but to start with I recommend trying a sheet or two of traditonal lino, verses the modern soft-cut stuff, to see which suits you better personally. Traditional lino sometimes requires softening before use, but once you get the hang of carving can enable you to make beautifully clean cuts. Soft cut (or easy cut) lino is increasingly popular, as it doesn’t require any prep and cuts like butter. It is stretchy, though, so can take practice to get as sharp a cut as you’d make in lino. It’s a great choice for a beginner, and many professional artists use it as well. Once you’ve cut your lino, you’ll need to materials to print it – starting with ink. For lino printing you’ll need specialist relief printing ink to get the best results. It’s readily available online and in art stores, in a huge range of colours, brands and prices. This mixed colour set is decent quality and not too expensive to start with. I only buy water-based printing inks like these, as the clean-up is so much easier (and no nasty chemicals). They can be mixed to create different colours, so this set should allow you to recreate a whole rainbow of colours and tints! Or you could start out with a single colour (black is the obvious choice, but the rainbow is your oyster!). Even a small tin or tube will last you a while as you only need a small amount to print with, and these artists brands tend to be better quality as well. You’ll need a brayer (or roller) to roll out your ink and transfer onto your lino cut. You can get mega expensive ones, but when you’re just starting out, you honestly won’t notice the difference so go for something cheap and cheerful, like this one. And finally, you’ll need a baren for rubbing over your paper to get a print – you can just use the back of a wooden spoon, or there are ones like this if you want a different option. You’ll get more choice in a specialist art shop though. When it comes to paper, start off with ordinary printer paper or cheap ‘newsprint’ paper. The specialist stuff can be mega expensive so I wouldn’t both with it until you are ready to make a ‘keeper’ print. Once you get into lino printing, there is an endless list of additional things you can buy, like a special inking tray (a flat tray, plate, or mirror works just as well), a bench hook, sharpening strop, sharpening stones… but this lot will be enough to get you going. If you give it a go, do let me know how you get on! If you’ve enjoyed this, why not take a look at some of these other entries? 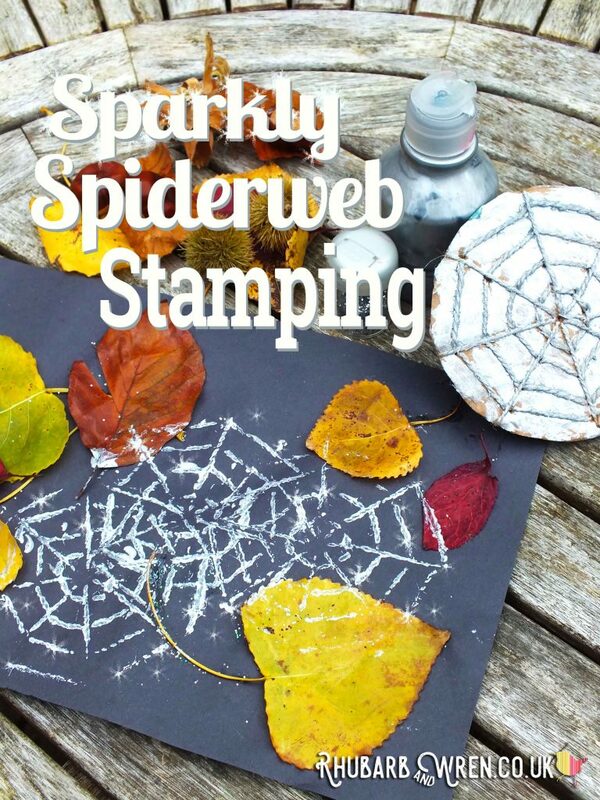 How to make stamps for printing sparkly spiderwebs! Craft, Grown-up Stuff, Linocut, Printing. Bookmark.